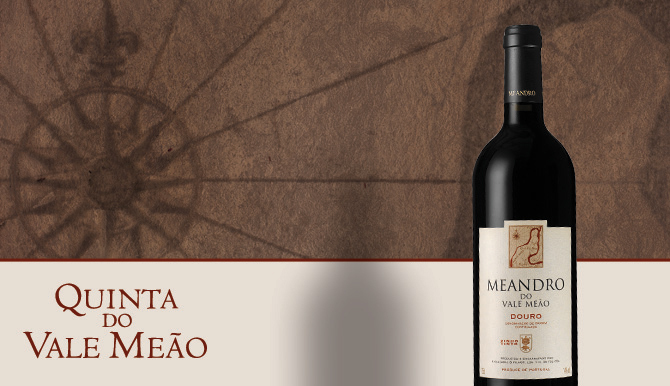 Meandro is grown, made and Estate Bottled by the Olazabal family on their 135 year old wine estate in the Douro region of Northern Portugal, Quinta Do Vale. Meão Pronounced MEE-an-droe. Pronounced KEEN-ta-do-val-ME-ow. Meandro means meander in Portuguese and it’s what the Douro River does as it flows alongside the vineyards on this beautiful property. First planted in 1877 by Doña Antonia Ferriera, the vineyards have all been replanted to the traditional varietals of Portugal’s Douro DOC, beginning in the 1980s. Touriga Nacional, Touriga Franca, Tinta Roriz, Tinta Barroca, Tinta Cão, and Souzão. A marriage of tradition and technology, Meandro boasts temperature controlled stainless steel fermentation, yet all of the fruit is still trodden by foot, for 4 hours in ancient stone troughs called lagares. After vinifying each varietal separately, Meandro ages it’s wines exclusively in Allier French oak barriques.